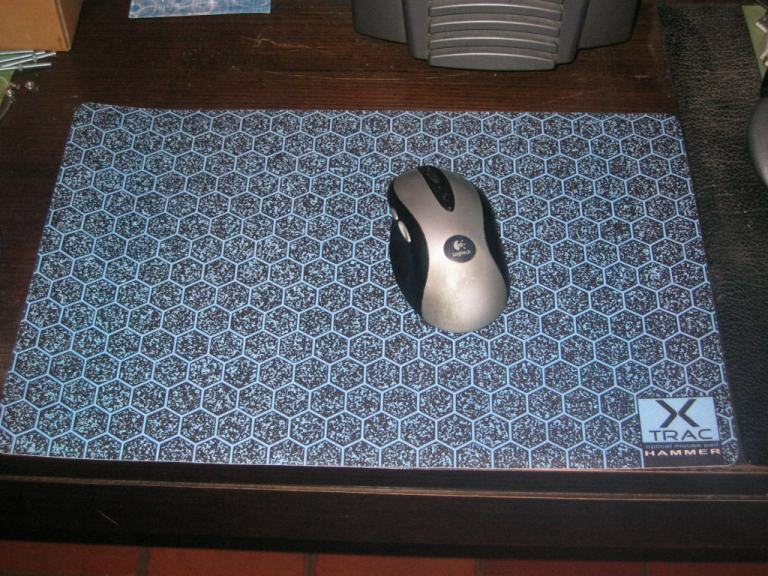 Well if you thought that your mousepad was big, then check out what we have here today! The X-Trac Hammer is a huge mousepad, with its 43.2cm x 27.9cm (11” X 17”) it is practically as big as most keyboards. 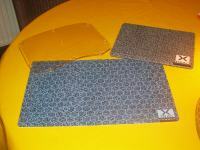 If you were ever swearing because your mousepad was too small then read this review to see if this is the pad for you. 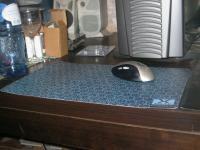 Well when this mousepad arrived from Dex Systems I was a bit astonished by its size. I knew that it would be big, but in real it looked bigger than what I had expected from the photos and specifications. 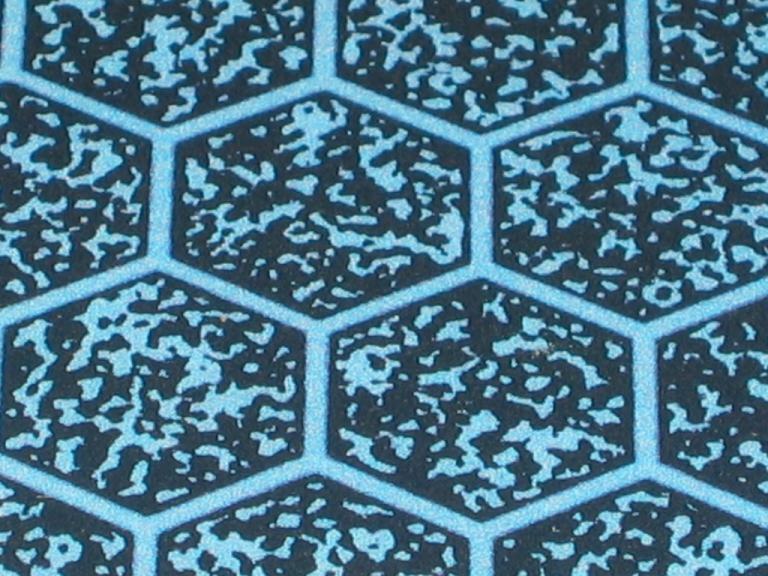 The X-Trac Hammer mousepad has a hard plastic surface with blue-greenish hexagonal textures printed on it with random black dots to ensure precise control with your optical mouse. 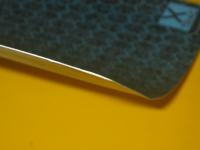 On the first picture you can see how thick/thin the X-Trac Hammer is : 1mm. 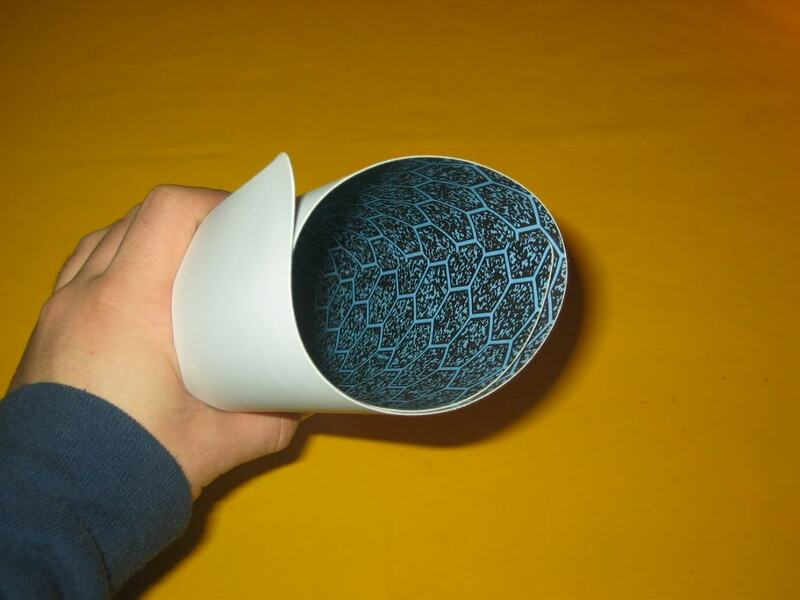 On the second picture you can see that it is semi-flexible, you can bend it, but do not bend it too much or you will not be able to bring it back to its original state. 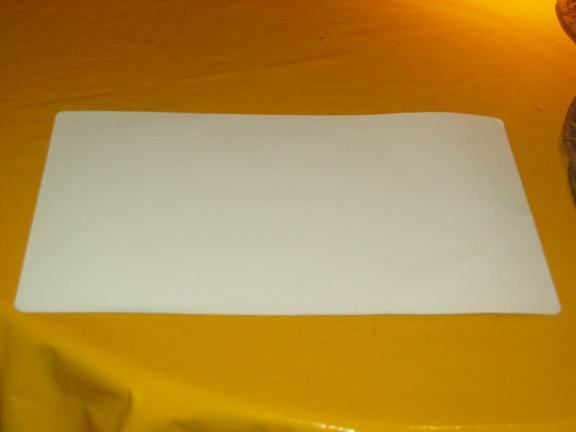 The backside of this mousepad is plain white. 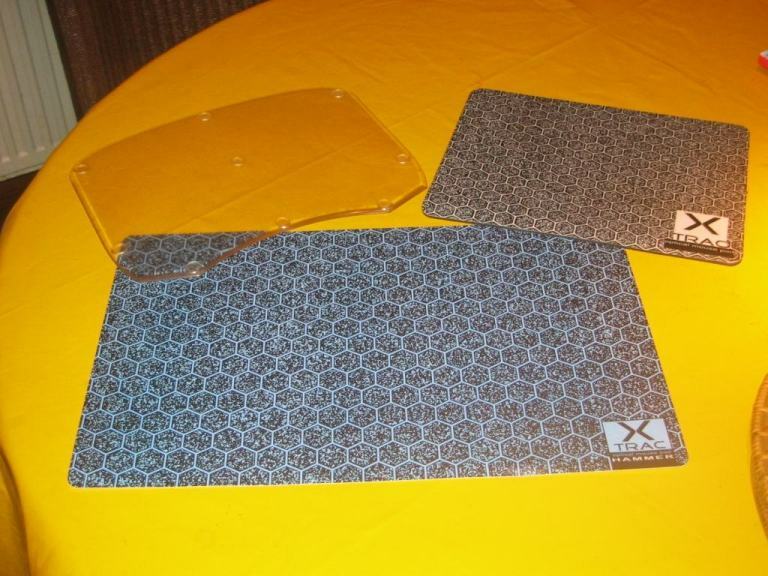 The makers of the X-trac mousepads say that the backing has a 'Sure Grip II' rubber like material to prevent slipping. 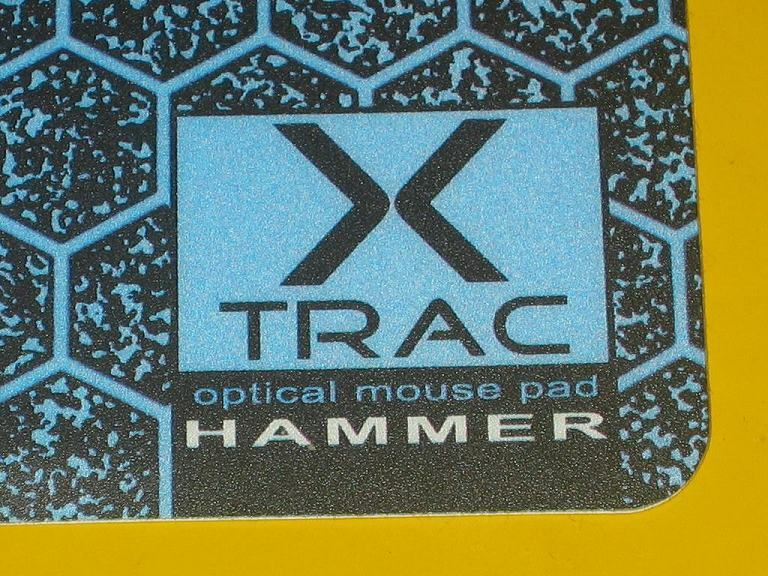 Here you can see the X-trac Hammer next to a X-trac Pro HS mousepad and a clear Speed-Pad from Compad. Like you can see the Hammer is twice as big as the X-Trac Pro HS. 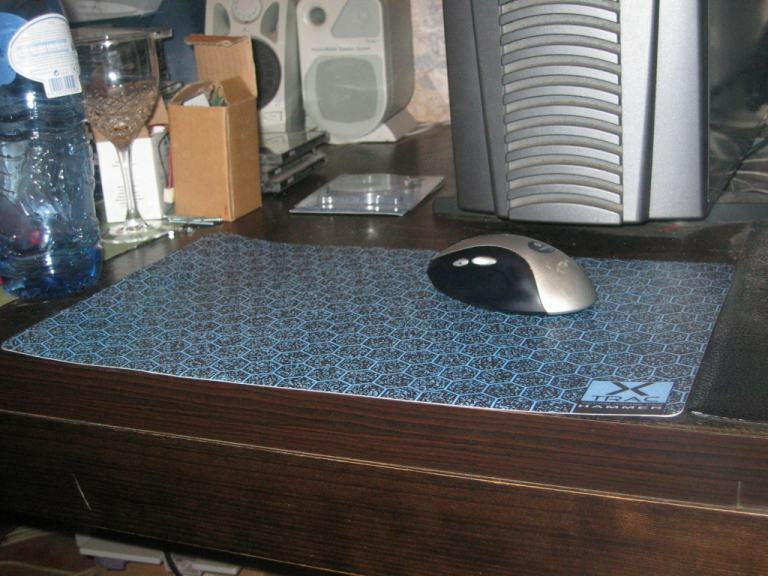 And to end this review here a few pictures of the X-Trac Hammer mousepad on my desk with a Logitech MX700 mouse. Huge isn't it. 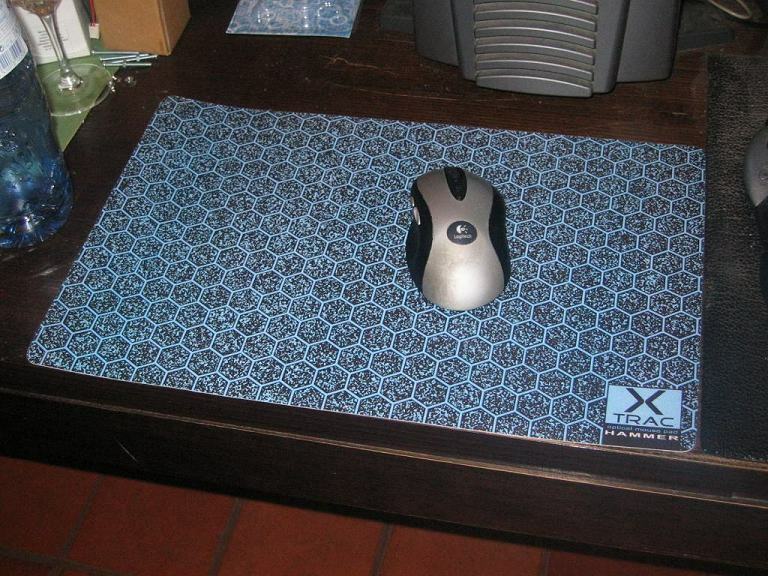 This is another fine mousepad from X-Trac Pads. It is huge and provides a very smooth and precise surface for optical mice. In America it is available from PCXmods for $19.95 (without shipping, USPS Priority Mail is available for $5.50) and in Europe from Dex Systems for €33.79 (Shipping included). 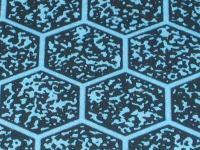 A full list of resellers can be found here. 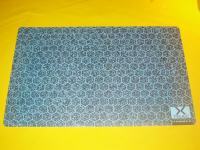 - Price is fairly high, especially the European price. By the way Dex Systems ships a free sample of X-Trac Eels together with each order. X-Trac Eel users normally notice a 50-70% improvement in mouse movement, for both optical and standard mice. 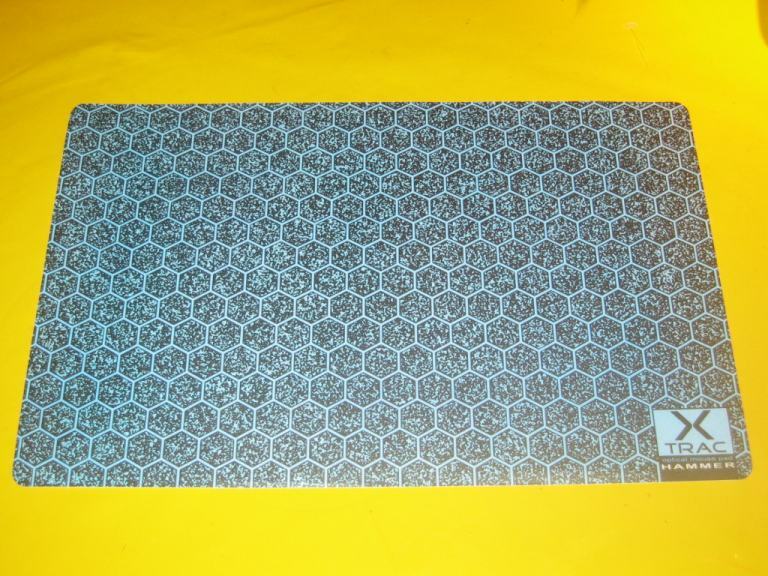 This transparent semi-teflon material makes the mouse glide around the mouse pad, increasing its life expectancy and reducing friction drastically. 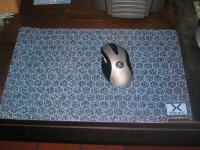 The X-Trac Eels™ are ideal for everybody, and specially for gamers and graphic designers with hard surface mouse pads. 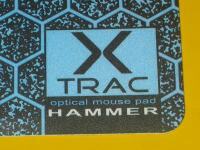 The X-Trac Hammer mousepad received a 8/10 from DV Hardware!